Christopher T. Copeland, M.Div., J.D. D.Min. is a teacher, minister, spiritual director, InterPlay leader, and founder of Illuminating Paths, a practice of accompanying individuals and groups on their spiritual journeys. 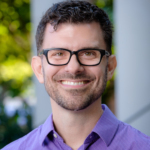 As Assistant Professor of the Practice of Spirituality at Wake Forest University School of Divinity in Winston-Salem, NC, Chris provides guidance and resources for students as they discern and express their vocations. By teaching and leading retreats, workshops, worship and courses in spirituality, Chris offers opportunities for students to nurture and deepen their spiritual lives. Chris studied at Wake Forest University, Emory University, and San Francisco Theological Seminary, earning degrees in mathematics, theology, law and spiritual direction. Chris has been engaging the Enneagram for more than 25 years, becoming a Certified Enneagram Teacher in the Narrative Tradition in 2014 and completing his dissertation on the Enneagram in spiritual practices in 2017. With his friend and certified Narrative Enneagram teacher Sandra Smith, Chris founded Heart of the Enneagram, a podcast and companion book for those who want to dive deeper into the Enneagram. He is currently a TNE Adjunct Faculty member. A native of North Carolina, Chris lives in Winston-Salem with his husband, Bernie Newton. She has been practicing physical therapy for more than 38 years. She is the owner and president of Spring Hill Physical Therapy PC and Stillpoint Studios in Grass Valley, CA. She received her degree from Arnhemse Opleiding voor Fysiotherapy in her home country of Holland in 1978. 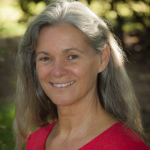 Her primary focus is on manual therapy and trauma resolution therapy, which she combines with acupressure, craniosacral therapy, myofascial release, Somato-Emotional Release, breathing and relaxation techniques. Marion has applied the Enneagram personally and professionally since 2003. She is a Certified Narrative Enneagram Teacher and Adjunct Faculty member of TNE, and teaches Enneagram classes in Grass Valley and Nevada City through the Yuba River Enneagram Community. Her emphasis is on integrating her vast somatic experience as an avenue of personal transformation and for developing Three Centered Awareness as a platform for spiritual awakening according to the Narrative Enneagram.